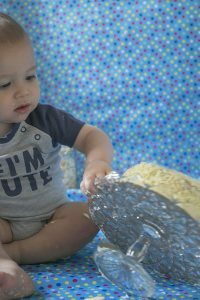 As a proud Oldham family photographer, one of my most favourite sessions is almost definitely the cake smash. It is so hard to explain how entirely different each one is! Little personalities shine through as they all take to the experience ever so differently. I’ve had babies who dive right in to the cake, others who barely touch the cake, others who tentatively explore but cake doesn’t pass their lips! Equally, I’ve even had a baby fall asleep straight after! My latest session with Ivan was like no other though, let me explain why! Mum, Tanya, got ahead of the game and planned the session around a month before the big day. In reality, she had clear ideas of how to maximise use of the photographs in several different ways, making the most out of the opportunities and of course, value for money. She was able to do this partly because I offer a range of photos at the session, not just purely cake smash! 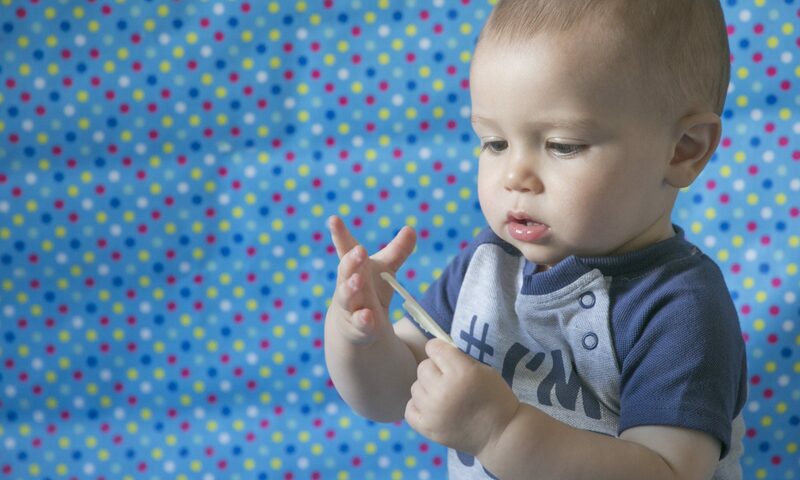 In summary, we have a selection of baby playing and if we can a few sitting portraits too. 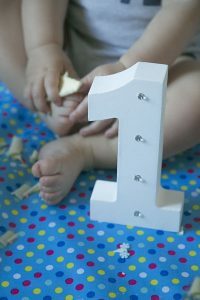 As soon as she received the final edits, she used them instantly in cards to Ivan’s (to be) Godparents, asking them to take on the honour at his upcoming baptism and first birthday party. Consequently, a winner and super cute! If I know Tanya, she will be planning to use a collection of photos for family or friends or perhaps even thank you cards. Moreover and not forgetting of course those framed versions which are likely to end up in her living room some time soon! 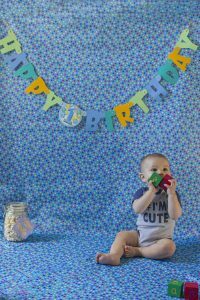 So, if you get ahead of the game, you can have multiple uses of cake smash photos at an incredibly affordable price. Hey, thanks so much for sending the pictures through and for working so late to get them all to us! We are so pleased with them. They are amazing! You do work some magic with that camera! Don’t let the moment pass. Once it’s gone, it’s gone. In reality, I totally understand that photography is a considered purchase and that you probably have a thousand other things you could spend your money on. 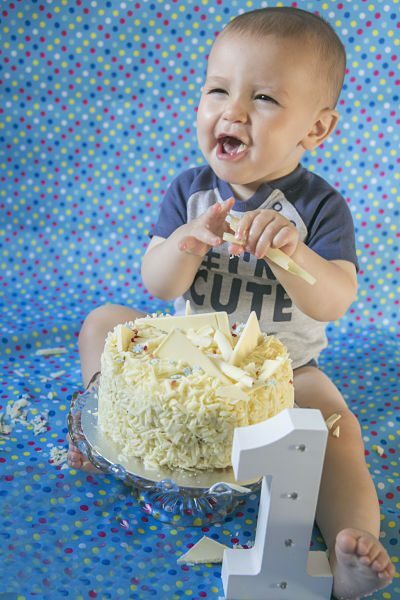 With two children myself, I know that first birthdays can often result in a gigantic amount of presents, many of which can be duplicates or even unsuitable so why not ask for a contribution towards a cake smash instead? I work tremendously hard to offer affordable photography which offers exceptional value for money and a great experience. Furthermore, if you don’t believe me, just see what some of my previous clients have said. And I promise, you and your little one won’t regret it years down the line….